Photo Editing Effects are very easy to use, in the web you can find tons of online photo editing softwares that allows you to add effects and filters to your photos. 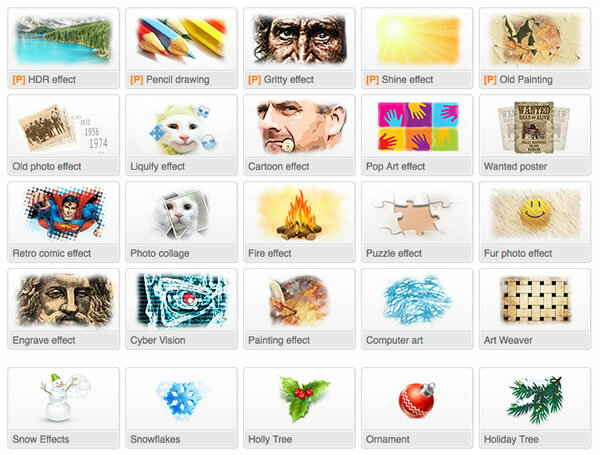 Software that contains photo editing effects can be easily found around the web. 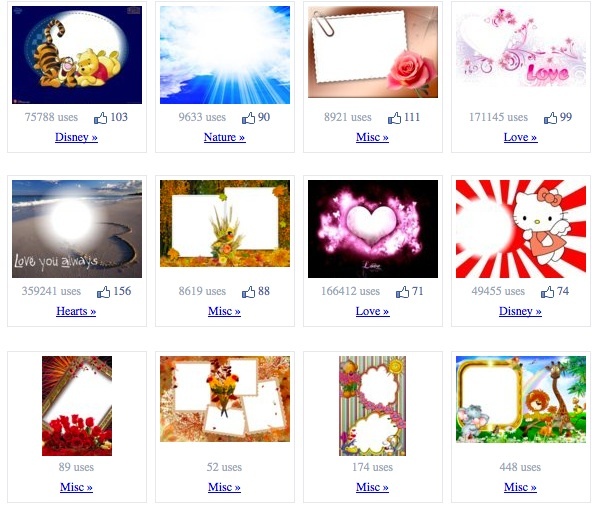 The “King” of these photo editing softwares is surely Picnik, but many others exist in the web. I made a simple list of online photo editing software where you can find interesting Photo Editing Effects ready to be used. Photomontager is a very good photo editing site, you can add to your photod interesting effects. First of all, you can choose among different subjects and landscapes where to put your face. Just like Face in Hole Onlne Software, you can add your face in another “Holed” picture, and become who you want. After placing your photo in the holed picture, you can also add different effects, some of them are really beautiful and intriguing. Take a look to the picture below to see the affect you can add to your photo with Photomontager. 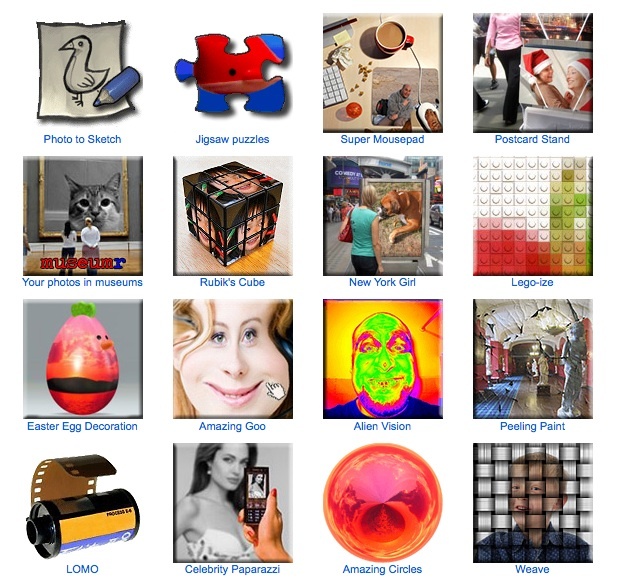 The first thing to do to use Photomontagr Photo editing effects is to go to Photomontager homepage. Choose the template you want by clicking on them. Import a picture from your Hard Drive. If you want to import the photo from your hard drive, just click on the first icon, browse through your folders and choose your file. The imported photo will be placed behind the choosen template. Drag the picture wherever you want and using FX button, you will access to Photomontager photo editing effects. In the photo below, how an imported photo appear on the stage. Use T button to add Text to your picture. Click on GO Button to start processing the picture. Photo editing effects will be added to your photo. In the Picture below, you can see the final result. Dumpr is another interesting online photo editor, this online software is very easy to use and you can find a lot of interesting photo editing effects. Surf in Dumpr homepage and select the layout you want to use with youe photo. Lomo: Usnd this effect, your foto will be transformed in a photo taken with a LOMO camera. Peeling Paint: Your Photo will become “Old” and will become a peeling paint in seconds. Easter Egg Decoration: Your picture will be attacked on an egg by creating a customized easter egg decoration. These are just a small part of the Photo editing effects that dumpr has, enjoy discovering the others effects! As the name, using “AnyMaking“, you can do just everything you want. You can apply photo editing effects to your photos very faster. All the available effects can be found in the Homepage. Click the effect you want to apply, upload your photo and set your settings. Cartoon Effect: Turns your photo in a Cartoon. Snow Effects: Add a snow effect in your photo, you can combine this effect and snowflakes effect together too. SnowFlakes: add snowflakes to your photo, you can set the size of the snowflakes and set color temperature too. HDR Effect: This is one of the best photo editing effect applicabile to a photo. The effect add an High Dinamic Range colors to your photos. A “Must use”. 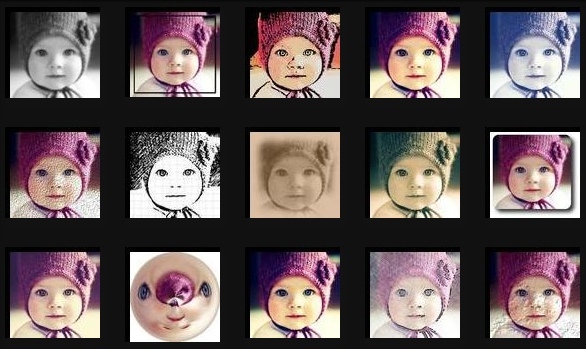 Pencil Drawing: Using pencil drawing effect, your photo will becme a nice pencil drawing. AnyMaker has other features. You can for example, add frames, crop, rotate and resize pictures, create photo reflections. This tools are available in Anymaker editor. Add a frame to your photo, picture or image. Crop a large photo to saving only a little part. Photo Editing Effects: Add all the effects mentioned above. Photo reflection effect adds a reflection below the photo. This is a very nice Effect! Arrotondare i bordi Creates round corners and choos which one mus be round and which one must be sharpen. 1) Go to AnyMaking homepage and click on the effect you want to use with your image. In the image below, you can see a little part of AnyMaking effects. 2) Scroll down and find the blue Button “Upload Photo!”, click it and browse through your folder to choose the photo you want to upload. 3) Your photo will be immeditalely uploaded and the choosen effect, will be automatically applied to the photo. You can change the settings of the effect by scrollin the bars shown below. In this case you can decide the thickness of the snowflakes frame and Coldness of the colors. I suggest to use the maximum coldness, to create a very icy effect! There’s a short link too touse your picture on the web. This is a little example od the effects available in AnyMaker. Have fun discovering the others interesting effects that Anymakers offers. Photo Editing Effects are very easy to use, in almost any online photo editor softwares. If you’re interested abount photo editing effects, you can read this post about Picnik Effects, where you can find some interesting photo effects applied on a single photo. I Hope you enjoyed this post about Photo Editing Effects, and please don’t forget to share it with your friend in Facebook, Google + and Twitter. Translated from the original Modificare foto con effetti.